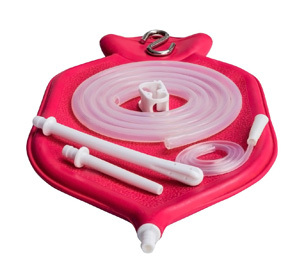 Buy Silicone Enema Bag Kit (2 quart) only Kit @ 25.95$ as low as @ 18.71$ | Detox and Fasting '); $(".urlwrite", table).html('' + customer.find("title").text() + ''); $(".reviewcount", table).html(customer.find("reviewcount").text()); $(".rating", table).html(' '); $(".userrating", table).html('UserRating'); $(".btnofprod", table).html('Go To Product'); $("#dvCustomers").append(table).append("
SPECIAL INCLUSION: Choice of Enema Insertion Tips – based on individual customized need. This complete High Quality Silicone Enema Bag Kit is best suitable for Additive Enemas like Coffee Enemas used in various colonics and treatments this robust, 2 quart bag will last a lifetime. In the kit you will be provided with a translucent bag that helps you see the liquid level at all times and a robust on-off clamp, it will make enemas a breeze. 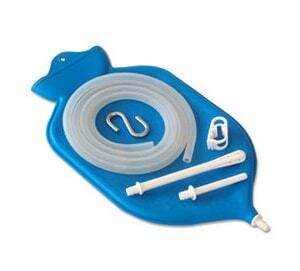 A Robust Metal hook along with 6.5 foot Silicone tubing, short silicon tips that are BPA and phthalate free are also provided in this enema kit. 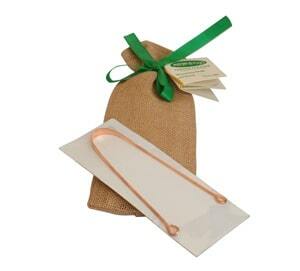 A special feature based on individual customized need is a wide variety of colon tips provided with this kit. It is the ONLY kit to help you discover the pleasure of Deeper Enemas accompanied with 5 long, 15” tips that are 5mm thick and 5 short, 6” tips that too are 5mm thick. Both the tips are soft and flexible. This is done, specifically to help the user understand what works best for him/her. 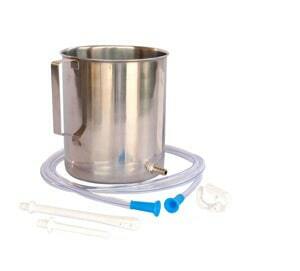 The standard tips often render the best of enema kits useless because the user just does not find them comfortable. It also comes with High Quality discreet, plain black bag with no print or brand for full privacy. This is not possible with standard enema kits in the market.